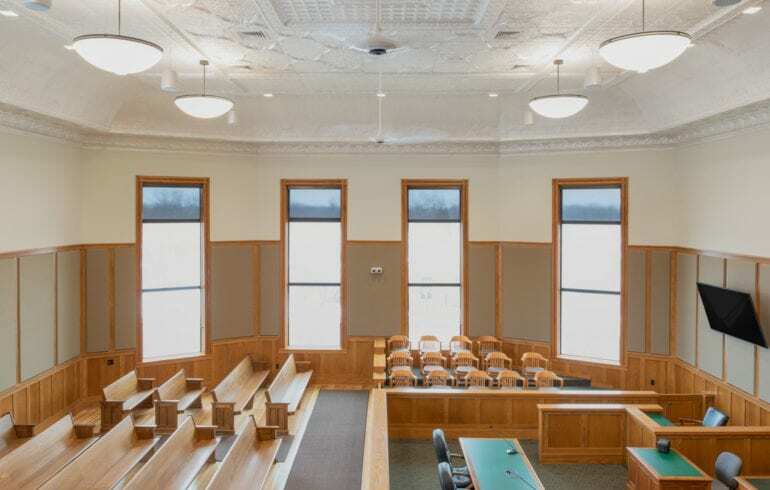 The Historic Wright County Courthouse was constructed in 1892 and is located in Clarion, Iowa. 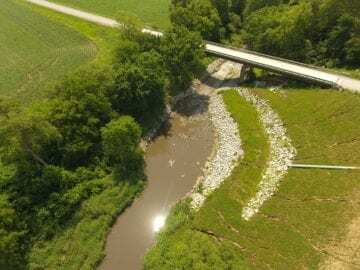 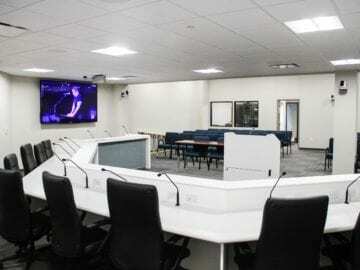 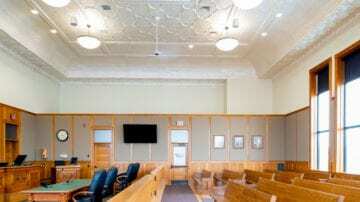 The city approached Schemmer with the desire to upgrade their courtroom and adjacent offices. 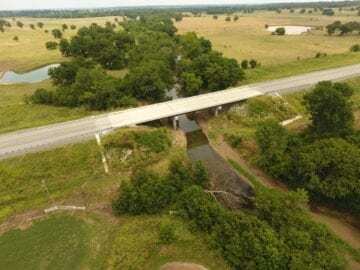 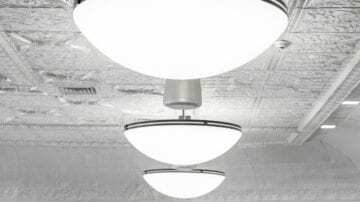 The upgrades included ADA compliance, mechanical and electrical systems, access control and security systems, and architectural design. 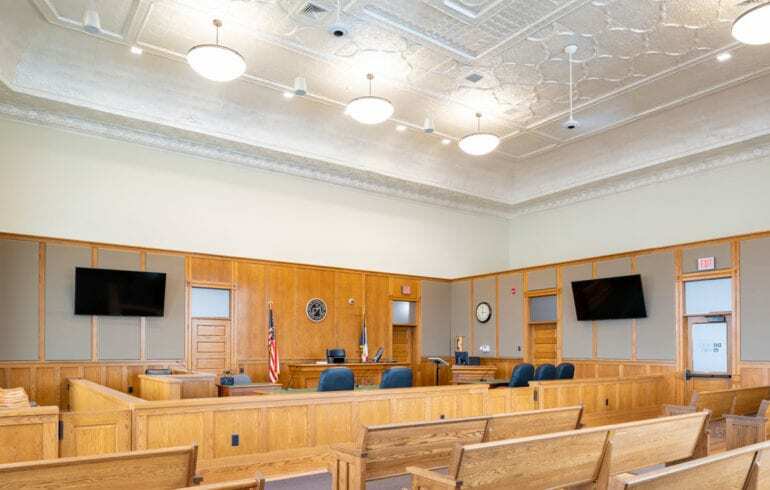 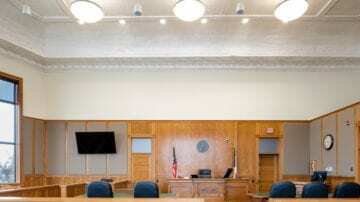 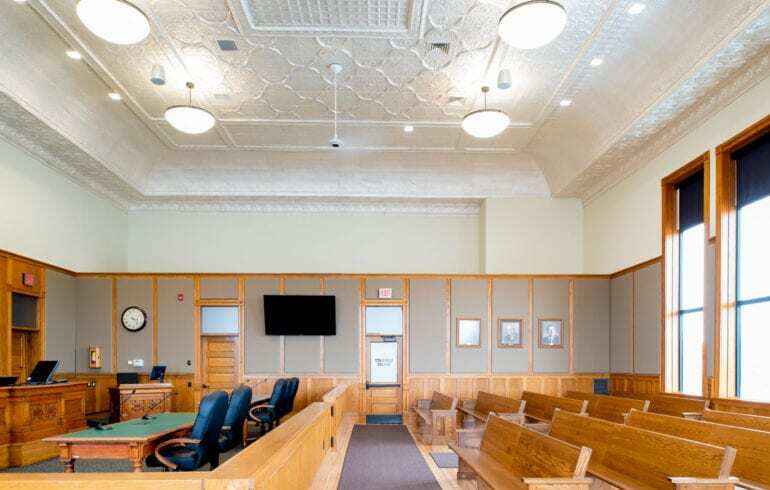 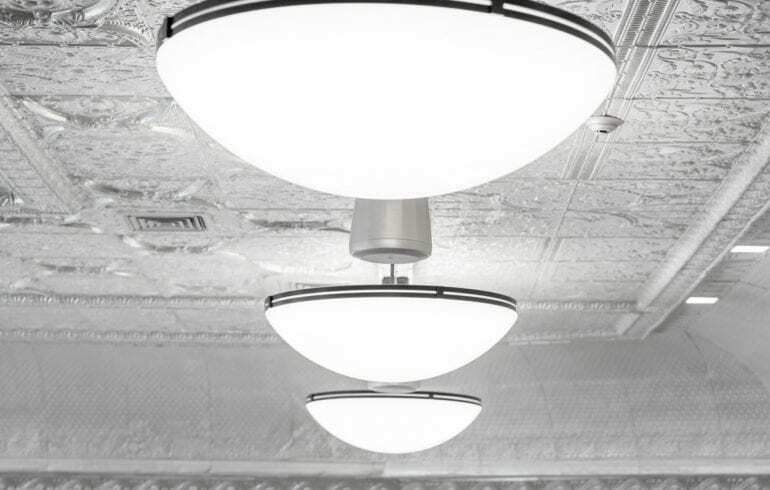 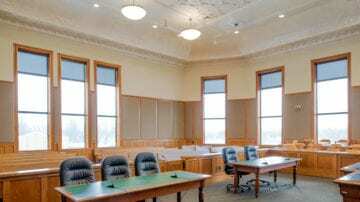 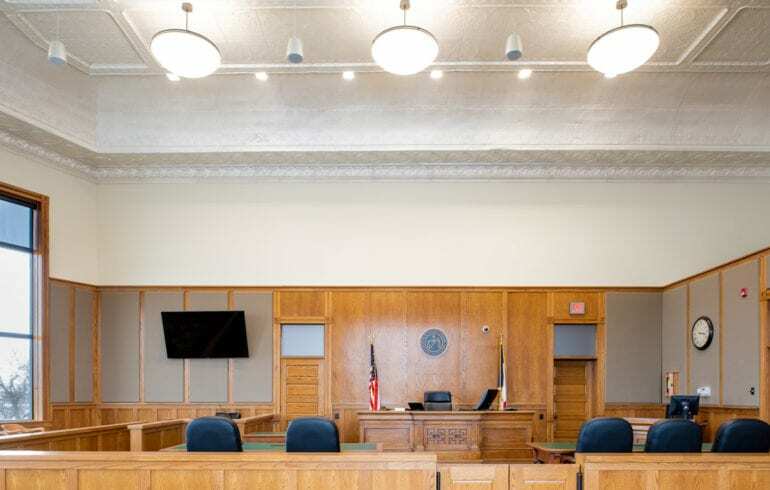 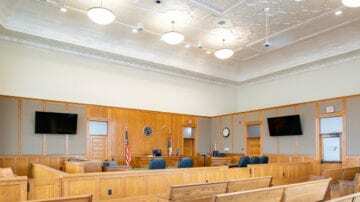 The courtroom had last been remodeled in the 1980s and the original tin ceiling, windows, and plaster had been concealed with acoustical ceiling and wall panels. 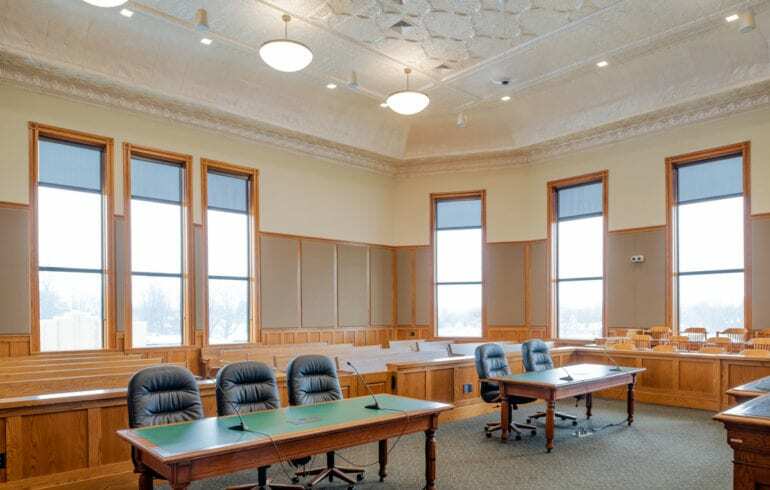 These finishes were removed and the ceiling, windows, and plaster were rehabilitated or replaced. 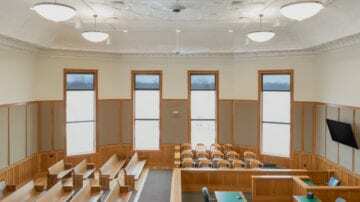 The courtroom was revised to create separated circulation for judges, public and prison movement.